My partner in crime, Andrea Kihlstedt, and I have created the Capital Campaign Toolkit to put you in the driver’s seat for your capital campaign. Until now, organizations have relied entirely on capital campaign consultants when it came to capital campaigns. 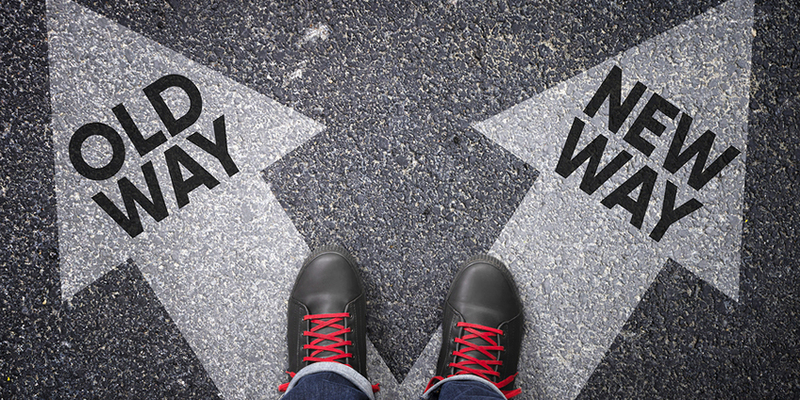 Because organizations conduct campaigns only every ten or twenty years, very few people have the depth of expertise that makes them confident in their ability to lead a campaign. As a result, capital campaign consultants have a corner on the market. And if you’re like many organizations, when your board decides it’s time for a capital campaign, the first thing you do is call a campaign consultant and ask for a proposal. But now, as with many of the professions (legal, medical, accounting, etc. ), the ways you can access expert information and best practices are changing. No longer do you have to be entirely dependent on experts. You can access the best practices for conducting a capital campaign yourself. And then, you can combine that information with targeted assistance from the experts as you need it. 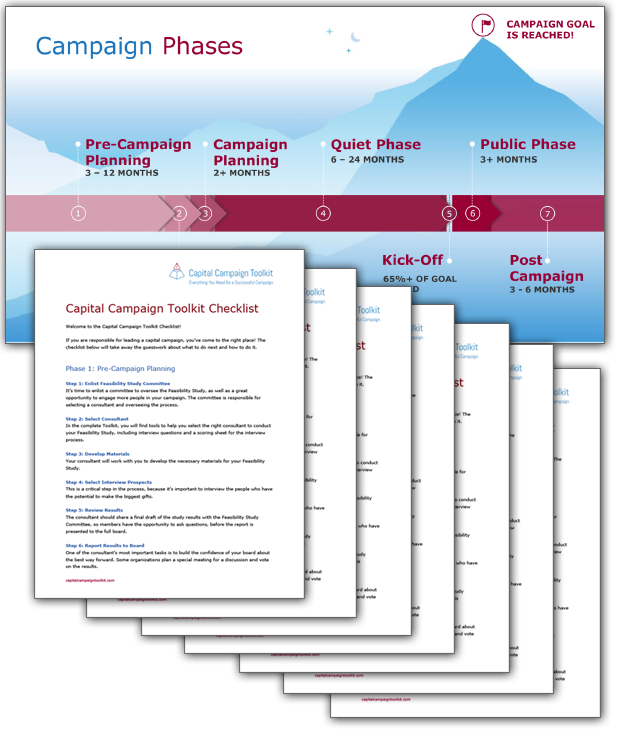 The Capital Campaign Toolkit provides step-by-step guidance for your capital campaign. It organizes the campaign into seven phases and provides steps for each phase. Included with each step are the specific documents and spreadsheets you can use for your campaign. You’ll also find a listing of campaign consultants who are familiar with the Toolkit material and who can help guide you as you apply it to your campaign. Andrea and I will post on this blog regularly. In some posts, we’ll tell the stories of organizations and consultants who use the Toolkit to great effect. In other posts, we’ll discuss specific tools and explain how you can get the most out of them. If you have questions or comments about the Toolkit or your campaign, please write them in the comments area below. We will either email you privately about your question or answer your question right here on the blog. You may also email us at amy@capitalcampaigntoolkit.com or andrea@capitalcampaigntoolkit.com. Capital campaigns are quintessential examples of major gift fundraising. They are major gifts on steroids! We look forward to providing excellent information for you in this blog. If you’re heading into a campaign, sign up for our mailing list here to ensure that you get notice of new posts as we write them. When you sign up, you’ll also get our FREE Capital Campaign Toolkit Checklist. This step-by-step guide breaks the campaign into manageable steps and provides a timeline to help you plan and visualize your campaign from start to finish. Ready for the Capital Campaign Toolkit? 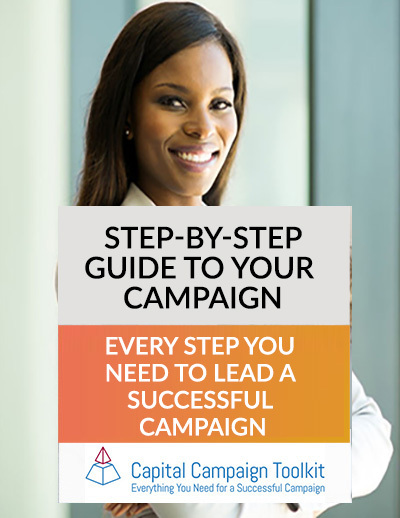 If you’re ready to purchase the Toolkit for your campaign, just click here. We’ll be happy to welcome you aboard. Questions and feedback are welcome. Just leave a comment below! Enter your info to access the demo! Enter your info to download the guide!